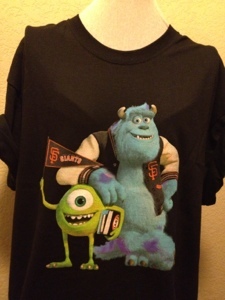 Mannequin Monday- Pixar night for the SF Giants! Great game with Disney Pixars Monsters Sulley & Mike Wazowski! Watch Monsters University on June 21!